We have written before about key words or information carrying words. 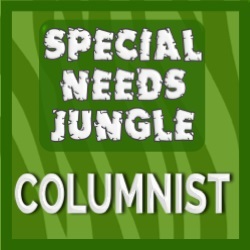 You can read that post here. 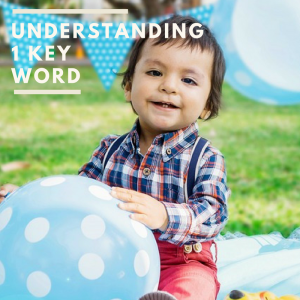 We talk about key words when we describe a younger child’s understanding of words. When we talk, ask questions and give instructions, there are usually clues around us that help children understand. So even if they aren’t sure of the meaning of every word they can still follow the instruction. For example if its dinner time and you ask them to wash their hands before they eat, the child only really has to understand the word hands to follow the instructions correctly – they know its that sort of time and can probably smell the food cooking. In fact if this is always said before meals, they may not even have to understand the word hands to follow the instruction. They just know what the routine is. Before you can start to work on understanding words, there are a few steps we need to work through first. 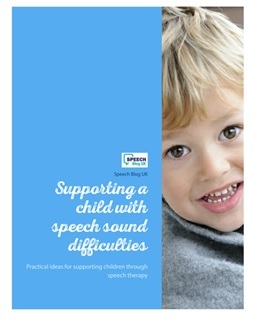 This is a very adult led task and we need your child to be able to listen and pay attention first. If your child is still finding listening and eye contact tricky you might want to start with some attention activities and listening activities. Show them. This is often easier if you have two adults. Have 2 toys, say a ball and teddy. One adult says “where’s ball?”, then the other person can touch or pick up the ball. Make sure the first adult praises them for finding the ball. Always encourage your child to watch. You may need to do this quite a few times before your child gets the idea of the task. Practise pointing. Does your child point at other objects? Try pointing to draw their attention to something. Do they follow your finger? Do they point to something they want? You could try putting a favourite toy or snack just out of reach and see if they indicate that they want it. Offer your hand. I have worked with a number of children that don’t like to touch the objects at this point. Sometimes offering your hand for them to point with can work. So again have 2 items in front of the child and ask “Where’s ball”, but then put your hand out with one finger pointed. Try not to point at either object – we want your child to take your hand and point it at one of the objects. Try different objects. Some children just think this sort of activity is silly! It is worth trying the ideas with something more motivating – food can often get a better response! Make sure you use 2 things they really like and hold them up. Your child may well be more likely to take a piece of food than a random toy. Try a different response. If pointing/ touching really isn’t meaningful enough for your child try asking for a different response. Helen had a great tip about getting the child to stick a post-it note on the object. If you have a post box or bucket, you could try getting your child to post the item instead of pointing at it. So once you are sure that your child gets the idea of pointing/ touching an object and they can pay attention for short periods of time, you can start working on 1 key word. Try and pick a time when your child is ready to work – not when they are tired or hungry. Sit opposite your child, probably on the floor. Try and keep it quiet – turn off the TV. Put 3 or 4 everyday objects in front of your child. 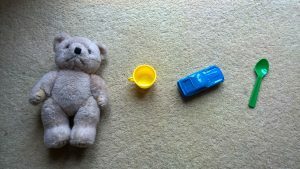 Good items to try are – spoon, ball, toy car, sock, teddy/ dolly. As you put each item down, say what it is. You may need to say your child’s name first to make sure they are ready. Then ask them for one of the items – “Where’s ball?” This is still a 1 key word instruction as you don’t need to understand the word where – it is implied that you would point/ pick up the object. Try not to look at the items. If your child gives you the correct items, praise them and say the word again holding the item. Then put it back down and ask for another item. If they give you the wrong item, say what it is, put it back down and ask for the ball again. If they still select the wrong item, pick up the ball and name it again. Once your child has got the idea of the task you can start making it harder. Here are some ideas to try. Start to extend the range of items you use. Try adding a few new items at a time. Try using pictures rather than real objects. This means you can work on a much bigger range of vocabulary – things that you don’t have toys of! Introduce verbs/ doing words. For more ideas on this read this post. You can start by ‘doing’ the verbs with your child e.g. “let’s jump”, “Can you run?”. Again, even though these have 2 or 3 words in the instruction they are still 1 key word instructions! There are more posts in this series. Find out about 2 key words and 3 key words. We will also be writing our next online course about early language development, so watch this space!